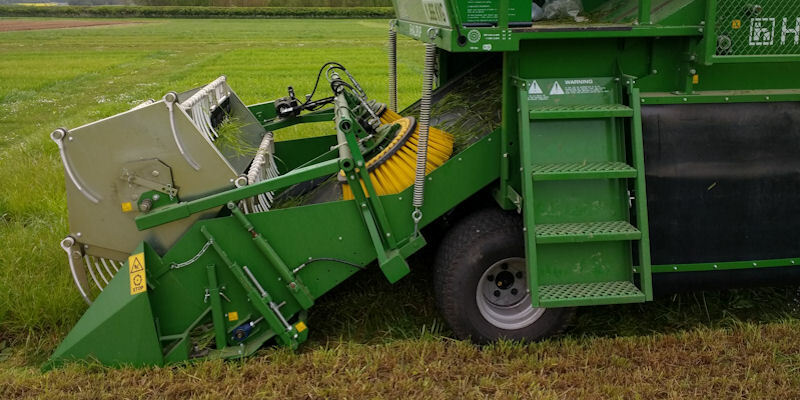 Overview: The Haldrup F-55 is a precision plot grass harvester. The harvester is fitted with an integrated Zeiss Corona Extreme Near-Infrared (NIR) spectrophotometer system that measures the intensity of light relative to its wavelength which along with the InProcess software allows real time measurements of dry matter content, protein and other harvest quality indicators. This is a Natural Environment and Research Council (NERC)-funded purchase based at the University, as part of the White Rose Sustainable Agriculture Consortium and is available to scientists and industry for hire.